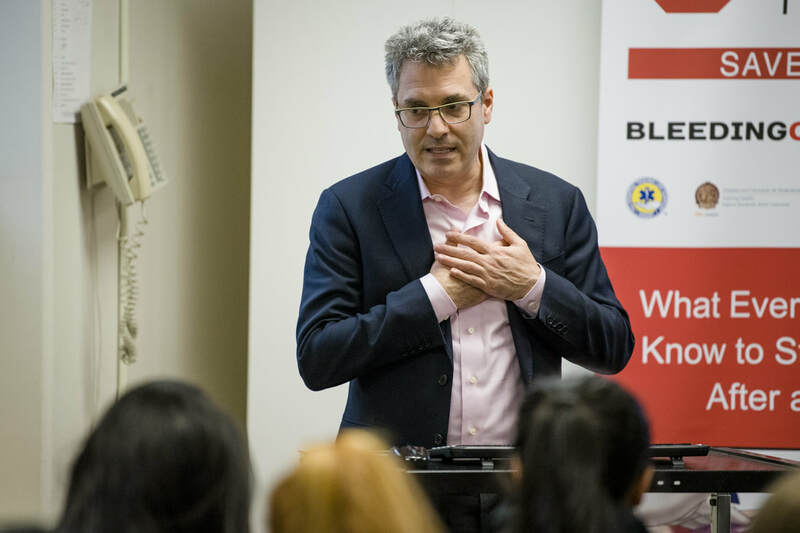 Our certified instructors will teach high school students the approved curriculum that includes both lecture style and hands-on, practical learning. 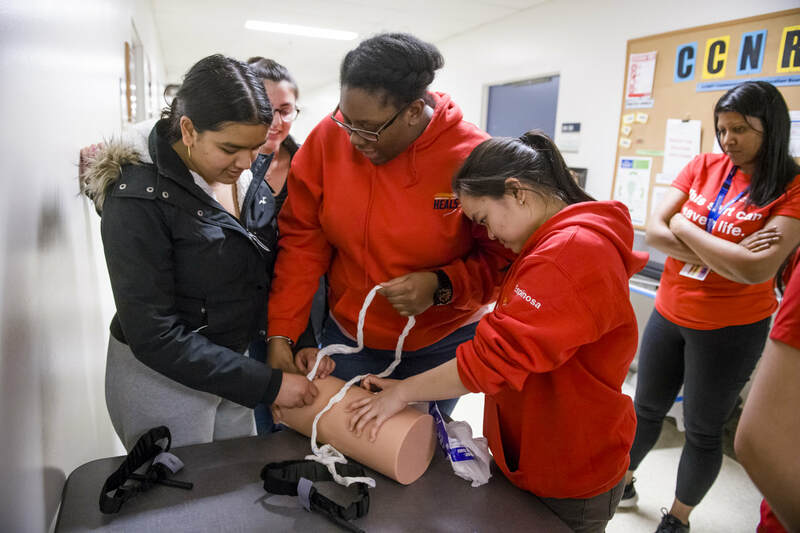 This training course aligns with Specialist High Skills Major (SHSM) curriculum. 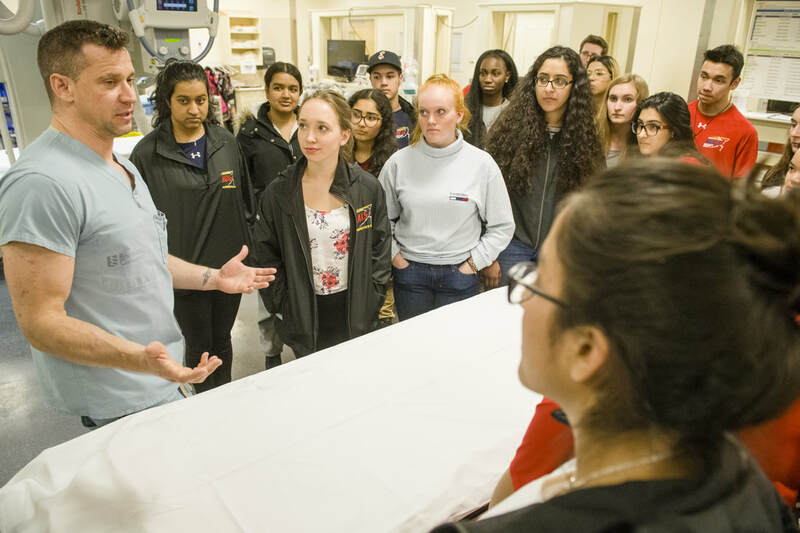 In addition to the training course, students will experience a tour of key trauma locations in the hospital and have the opportunity to hear from various healthcare professionals about their education and professional background. 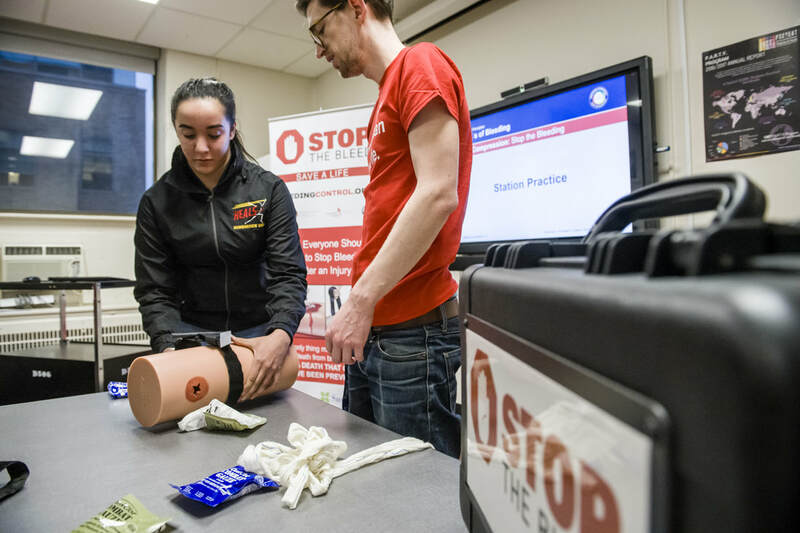 All materials and resources are provided for participants including a free t-shirt. for every student. There is a maximum ratio 1:8 for our instructors to ensure a personal experience. Notes to Teachers and Administrators! ​Registration for the 2018/2019 School year has SOLD OUT. Please visit us again soon for dates available for the 2019/2020 school year. Thank you to Mr. Campbell! 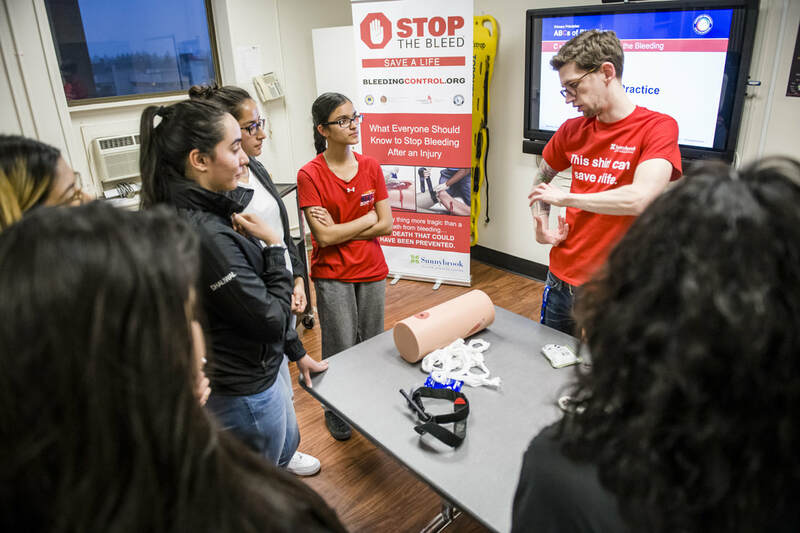 For making this course available for your SHSM students and to the students participating in the first high school Stop the Bleed program on March 27, 2018 at Sunnybrook Health Sciences Centre.